Q: We have an employee who would like to use e-cigarettes in our workplace. We have a smoke free workplace policy, does this cover e-cigarettes? What should we do? A: Wow this is a good question that many of our member companies will be addressing in the future. The federal Food and Drug Administration (FDA) has refused entry to shipments of e-cigarettes coming into this country on the grounds that these are unapproved drug device products; however, these devices have made their way into this country and are sold online and in some shopping mall kiosks. The answer is easy for NJ employers. The use of e-cigarettes is prohibited. New Jersey has taken the step to include e-cigarettes in their Smoke Free Air Act. The newly signed bill applies the provisions of the 2005 “New Jersey Smoke Free Air Act” to the use of e-cigarettes by expanding the definition of “smoking” as the burning or inhaling of tobacco or any other matter than can be smoked or inhaled, or the inhaling of smoke or vapor from an electronic smoking device. The act already prohibits the smoking of a cigar, cigarette, pipe or any other matter or substance which contains tobacco or any other matter that can be smoked in indoor public places and workplaces. The answer is not so direct. Neither of these states have laws that include e-cigarettes in their smoke free workplace provisions. So it is therefore left to the employer to determine what is and is not allowable in their workplaces. So lets look at the possible pros and cons to allowing the use of e-cigarettes in your workplace. Possible increased employee morale. 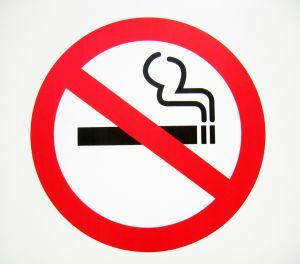 Smokers may be happier if they did not have to leave their workplace and go to a designated area to ‘smoke’. Possible assistance to those employees who are attempting to quit smoking. Allowing the use of e-cigarettes is advertised as helping in this area. There are no studies showing that it does assist in quitting, unlike nicotine patches which do assist in this effort. Safety in some workplaces may be an issue. If a worker is distracted by his e-cigarette and has a workplace accident this would not be beneficial. Difficult to monitor. The responsibility would be on management to monitor what is an e-cigarette and what is not. The e-cigarettes look like regular cigarettes and emit a vapor much like smoke. Unknown health effects. There has not be extensive studies done to determine the health effects of e-cigarettes on the user OR those around them. E-cigarettes do use tobacco and other chemicals to produce their effect and deliver nicotine. Some of these chemicals are known carcinogens. What is not known is the effect on those around a user that may inhale the emitted vapor. In the end, it is up to management to decide at this point what is best for their business and organization. MEA does recommend that employers who are addressing this issue or think they may in the future adjust their policies to reflect their stance. By making sure that your policies are up to date, you take a giant step toward heading off confusion in the future.